Target Liberty: Is the Bannon Attack on Family Trump the First Signal of a Developing Coup? Is the Bannon Attack on Family Trump the First Signal of a Developing Coup? The Steve Bannon quotes in the new Michael Wolff book clearly indicate that Bannon has decided for whatever reason to break with the President. Does Bannon know something we don't? 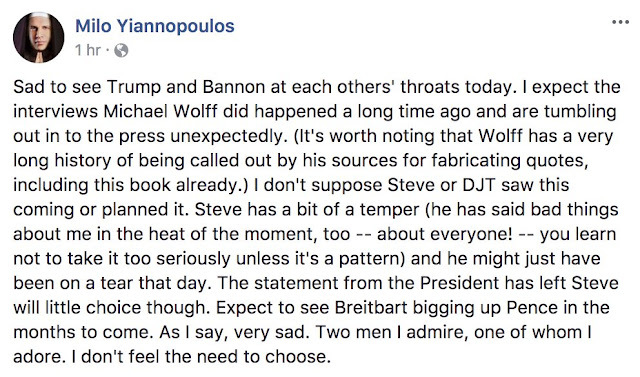 The Bannon comments did trigger the President. This is unlikely to be the last time that Trump is triggered in 2018. I am reporting exclusively that special prosecutor Robert Mueller is going to split Donald Trump Jr. and Jared Kushner. Trump is not going to react well to that. How much will Trump be able to take? Is the establishment plan to launch a series of assaults that trigger Trump closer and closer to the edge? Is Bannon trigger 1? 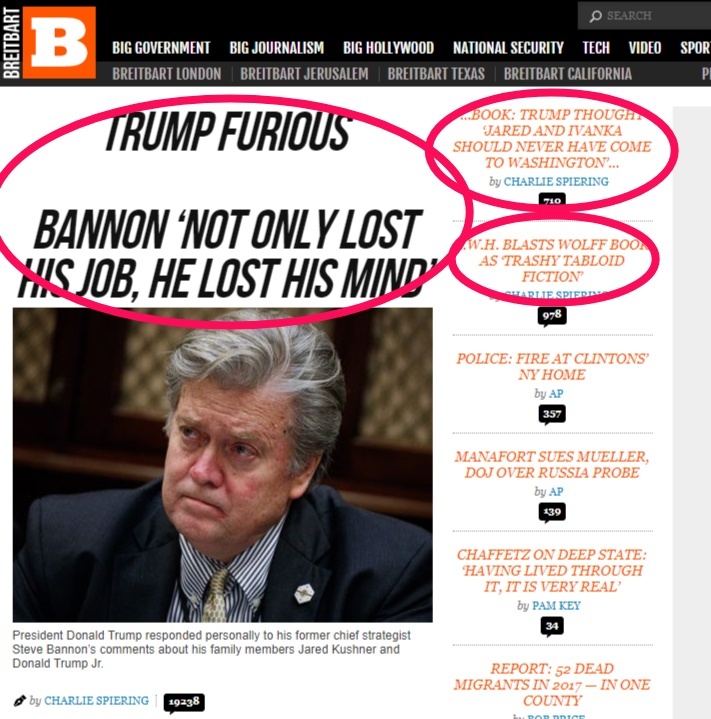 Breitbart, where Bannon is executive chairman, is certainly not distancing Bannon from the quotes in the Wolff book. The three top stories on the Breitbart page are about the Bannon comments. Breitbart is going to be "bigging up" Pence? That's a total neocon establishment move. Who is Bannon working for and what is going on? Is the plan to take Trump out on a 25th Amendment move now or just after the mid-term elections? Ethier Bannon made a very dumb move or something big is going down back stage. And, is it too early to uncork the champagne? I'm at least popping some popcorn,and you can't stop me! 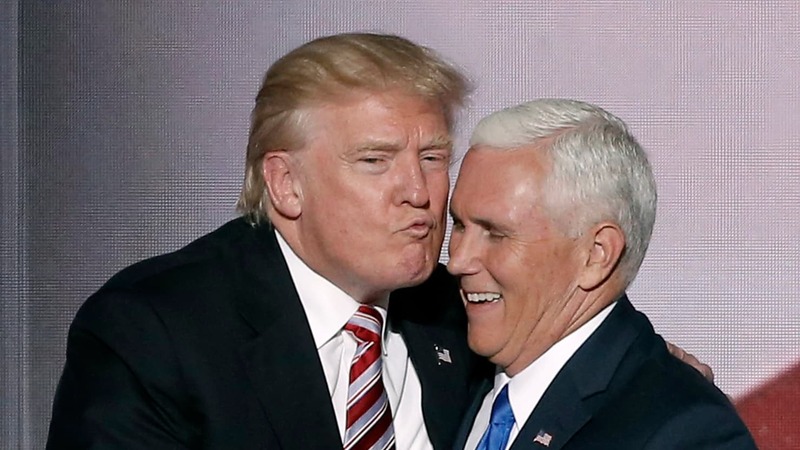 Yeah, but Pence is just as hideous, in his own creepy ways. I listened to Savage the other night. Looks like Trump is friending him again after months of ignoring. Part of his defense of the populist base since he is losing Breitbart?